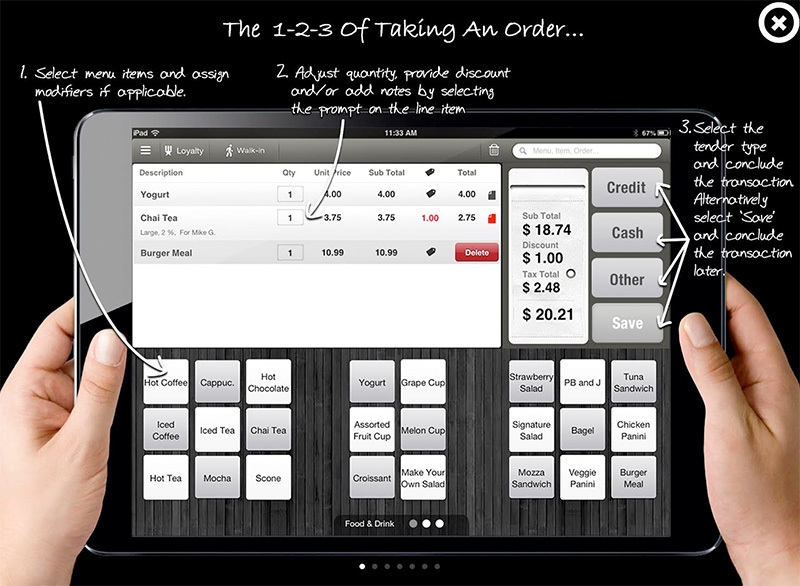 The many features of TekTouch POS! allows merchants to create pages where they place their custom menu items and promotion buttons, all in a matter of minutes! The set-up is streamlined and easy-to-use. allows management to seamlessly create and send schedules to employees, and enables both management and employees to post messages to one another. T&A also features exportable reports that make it easier for the merchant’s payroll company to issue pay. allow merchants to navigate the menu and locate their menu items in seconds, whether there are four or four thousand items. They can even search for a particular item by name. eliminates oversight on costly lost inventory, and easily manages inventory to keep track of everything, right down to the smallest stocked items. are configurable in a hourly, daily, weekly, or monthly format. Whether the merchant is looking for broad strokes or in-depth profit and loss reports, our system provides it all. are a manager’s dream. From payment breakdown and profit-per-item, to detailed inventory and marketing and financial reports, the merchant can easily generate any or all of these and more with a touch of a button. provides merchants with a comprehensive history of all of their orders with all the relevant information they need. automatically stores customer data for quick and easy future transactions - whether walk-in, pick-up, delivery or dine-in. 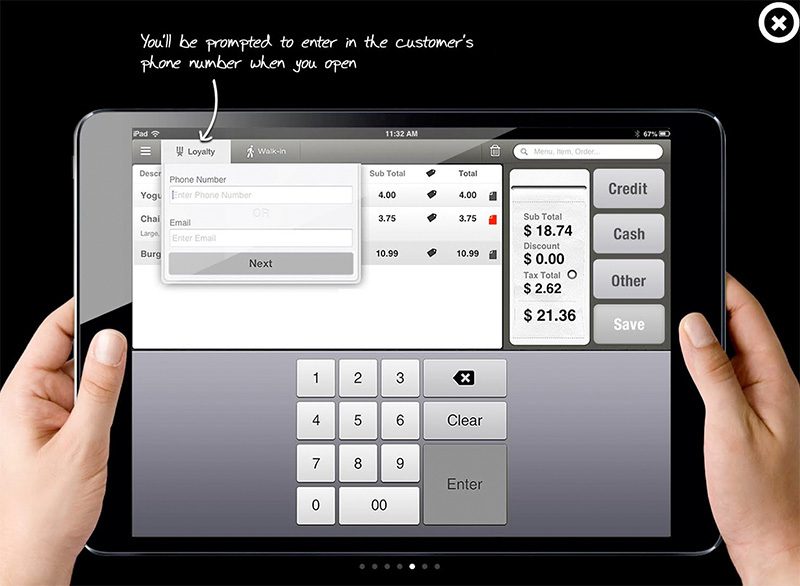 is a crucial component of the TekTouch POS because our users’ security is of utmost importance to us. That is why we have partnered with the industry’s most trusted and reliable gateways to ensure end-to-end security. 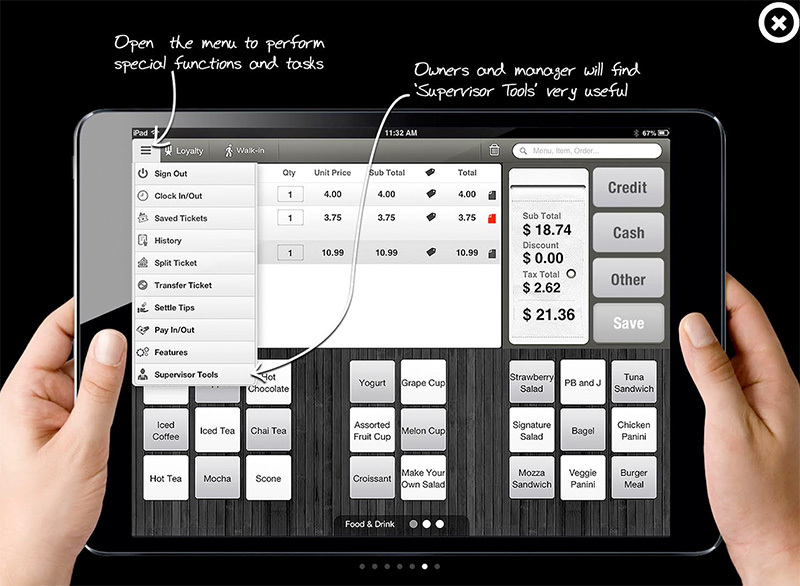 Interested in the TekTouch POS System ? How many terminals are need? Do you have WI-FI capabilities? Who is your internet providers?